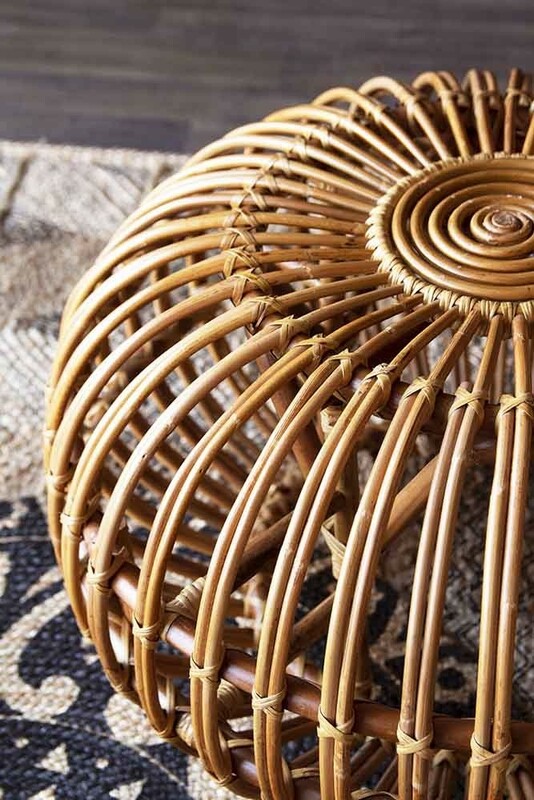 A testament to the fact that even the most practical pieces in your home can be beautiful too, the Handmade Woven Wicker Pouffe is a sculptural masterpiece. 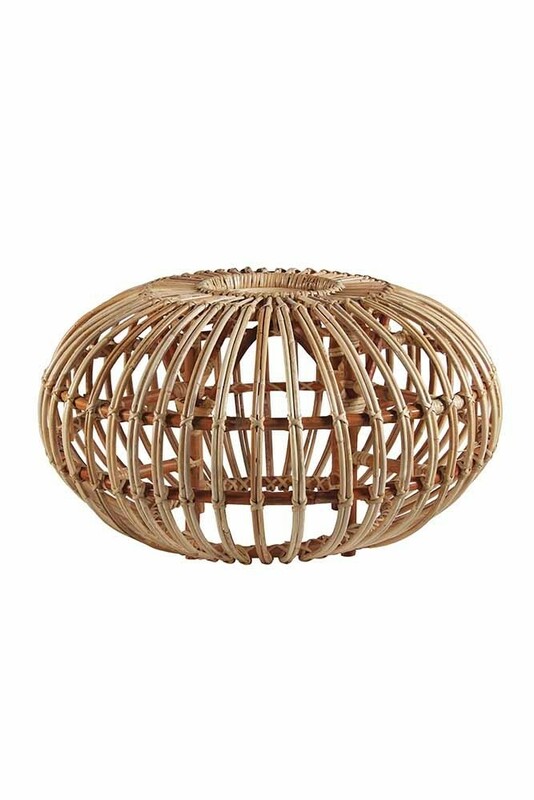 Made from bamboo the woven wicker dome pouffe is the perfect display piece for your living areas and hallways. The Handmade Woven Wicker Pouffe measures 40cm in height x 75cm in diameter. Please note this beautiful natural bamboo pouffe is handmade and so will have the expected variations that only add to its unique story and charm. There are so many reasons why we think that you will love the Handmade Bamboo Pouffe. Ideal for those who like to put their feet up (who doesn’t?!) this stylish foot stool is great for popping your feet on whilst your watching your favourite Netflix series or reading your favourite interior design magazine. Another reason to love this beautiful ottoman is that is really is such a beautiful piece that you could re-purpose it as a display stool in your living rooms and hallways. 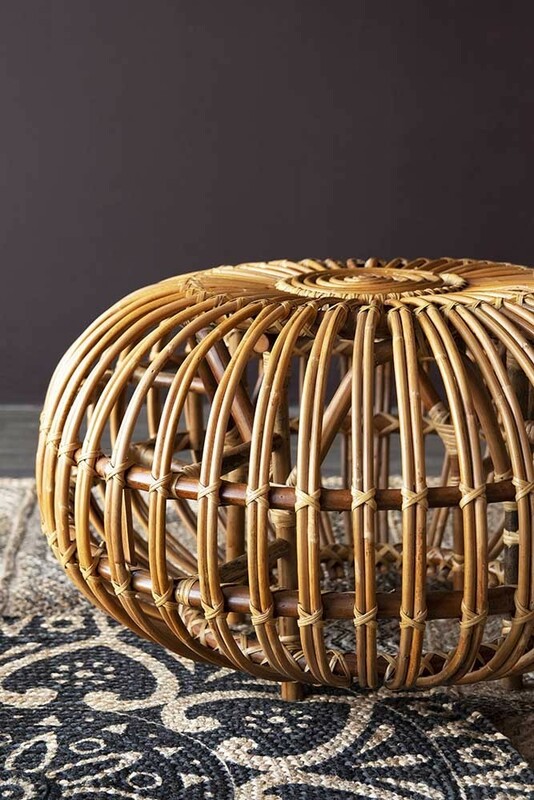 Adding organic and natural vibes to your interiors the Handmade Woven Wicker Pouffe would make an excellent addition to rustic, boho,and global style interiors adding a touch of oriental influences. And, if that hasn’t completely convinced you as to why we think you will love it, we certainly think that this next bit will. 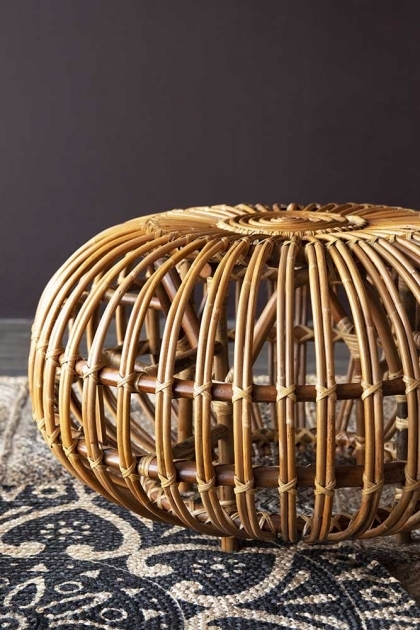 This beautiful foot pouffe is made from bamboo which is a fast growing plant. As such this is the perfect pouffe for anyone who is trying to be more sustainable and eco-friendly with their homewares.